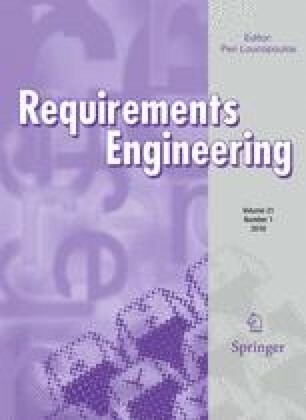 In goal-oriented requirements engineering, goal models have been advocated to express stakeholder objectives and to capture and choose among system requirement candidates. A number of highly automated procedures have been proposed to analyze goal achievement and select alternative requirements using goal models. However, during the early stages of requirements exploration, these procedures are difficult to apply, as stakeholder goals are typically high-level, abstract, and hard-to-measure. Automated procedures often require formal representations and/or information not easily acquired in early stages (e.g., costs, temporal constraints). Consequently, early requirements engineering (RE) presents specific challenges for goal model analysis, including the need to encourage and support stakeholder involvement (through interactivity) and model improvement (through iterations). This work provides a consolidated and updated description of a framework for iterative, interactive, agent-goal model analysis for early RE. We use experiences in case studies and literature surveys to guide the design of agent-goal model analysis specific to early RE. We introduce analysis procedures for the i* goal-oriented framework, allowing users to ask “what if?” and “are certain goals achievable? how? or why not?” The i* language and our analysis procedures are formally defined. We describe framework implementation, including model visualization techniques and scalability tests. Industrial, group, and individual case studies are applied to test framework effectiveness. Contributions, including limitations and future work, are described. This work was undertaken while Jennifer Horkoff was a graduate student in the Department of Computer Science, University of Toronto, Canada. Financial support for various stages of this work has been provided by the Bell University Labs, the Natural Sciences and Engineering Research Council of Canada, the Ontario Graduate Scholarship Program, the Canada, the Ontario Graduate Scholarship Program, the NSERC Business Intelligence Network, and ERC advanced grant 267856 "Lucretius: Foundations for Software Evolution". The OpenOME tool was ported from OME and expanded by Yijun Yu, Neil Ernst, and many undergraduate students. The presented work has benefited from feedback from many colleagues at the University of Toronto and Trento, including detailed comments on the current paper from Daniel Gross, and extensive input from the PhD Committee members of the first author: Steve Easterbrook and John Mylopoulos. We are grateful for the detailed comments from the anonymous reviewers, which helped to greatly improve the quality of the paper.